Check with your school as to its homework policy. If your child is struggling with the amount of homework set, or you think he or she should be doing more, organise a meeting with the school to discuss your concerns. Decide with your child at the beginning of the year what time homework is to be done and where he or she will be doing it. Once your child reaches third grade, it is best to have an organised space where they will do their homework. It doesn't have to be in their bedroom, but make sure it has all the necessary stationery and books. Don't agree to having the TV or music playing while your child is doing his or her homework. It's nothing but distracting and teaches a habit that will be hard to break when the HSC comes around and there is much memorising to be done. Boys find it harder than girls to settle down to their homework. To help boys focus, set some boundaries, a clear work space, and goals, such as a time limit. By placing a clock near their work space and agreeing to a time limit, boys will then know how long they are expected to work. Tackle big projects with small steps. Together set a schedule for completing the project, taking into account other homework, extra curricular commitments and fun time. If you break it down into a number of smaller tasks the project won't seem so overwhelming, and you won't be left sitting up till midnight the night before it is due finishing it. Don't do your child's homework for them. Support, guidance and occasional assistance are all your child needs to achieve the goal of becoming an independent learner. It's important children learn to take responsibility for their actions and behaviour and face the consequences if they do not complete their homework on time. Don't stop reading with your child once they reach primary school. Their reading skills are still developing and it's important for your child to spend time reading out loud to you and also you reading to them. As children get older they enjoy more complex stories but can become frustrated if they can't manage to read the more sophisticated stories. Having you read to them allows your child to hear more sophisticated stories and maintains their reading habit. It's OK to allow your child some wind down time after school before they tackle their homework. You can restrict TV viewing during this period but a play with the kids in the street, or afternoon tea with you will help them to then concentrate on their homework tasks once they begin. Teach your child to be organised. Use folders, small boxes, manila folders or other types of stationery for storing school work, both past and present. This will teach a life long habit that makes achieving set goals so much easier. 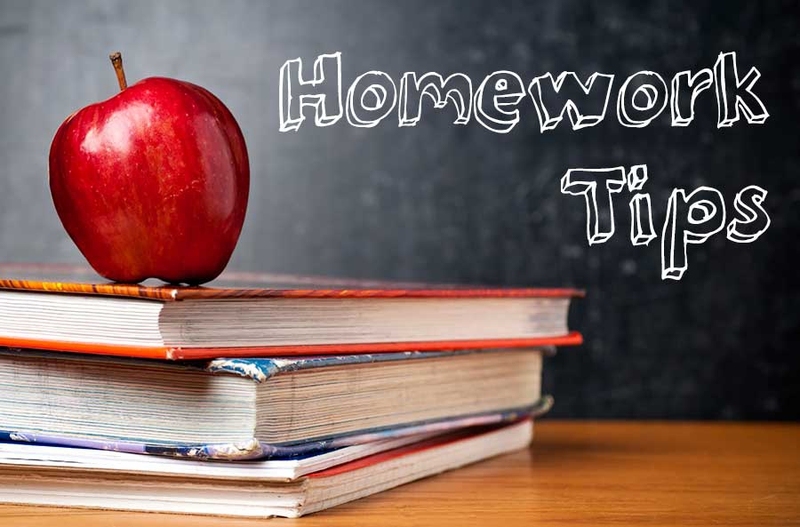 Make it a rule that homework is not completed until it has been put in the school bag ready to go back to school to be handed in. Server responsed at: 04/25/2019 12:44 p.m.